Finesse and exclusivity come together in a burst of divine inspiration to create the majestic Zola. 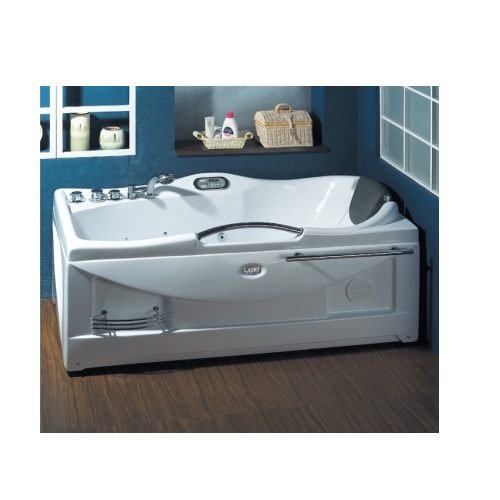 This unit is designed for those who don't just want to bathe, but to be bathed in luxurious bliss. Oyster Bath Concepts has redefined and elevated the way you experience water. The brand has been at the forefront of bathroom innovation, since 2003. With their avant-garde and functional designs, the brand continues to evolve new and varied collections of wellness & bath fittings that appeal to the sensibilities of today’s designer age. The company's credo of 'a product for everyone,' has resulted in an impressive portfolio of bath products & accessories.